Ladies—imagine fabulous desserts, coffee, tea and live music all while receiving a mini-massage, a new hairstyle, a manicure, or a chiropractic treatment. This is not a dream, it is an event called Pamper Yourself and Shop. 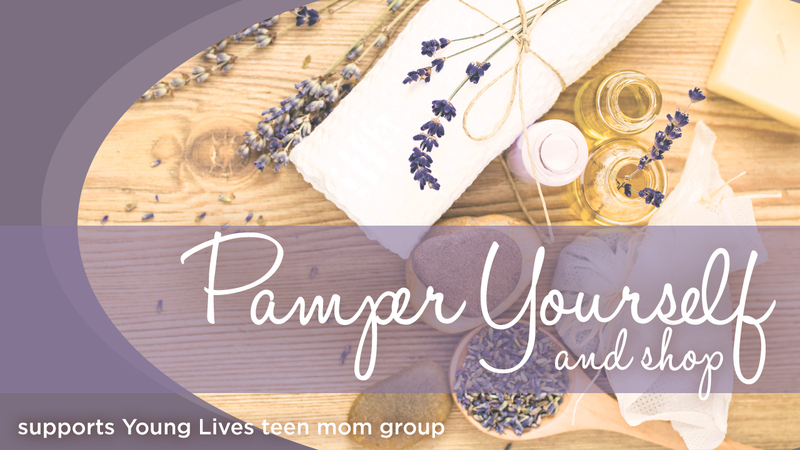 Pamper Yourself and Shop is an annual FUN-Raising event that supports YoungLives/New Life - a ministry of Lakeshore Community Church that reaches teen moms and dads with the love of Jesus Christ. Pamper Yourself and Shop is open to ladies only (or teen girls age 13 and older) and takes place on Sunday, March 10th, from 2 to 5PM. We'll have two Chefs cooking right onsite and of course we'll have our famous Silent Auction. By attending Pamper Yourself and Shop, or gifting a ticket to someone, you are supporting the work we do with teen mom and dads at Lakeshore. Advanced tickets are no longer available, however you can purchase Tickets for $15 at the door. Register below to be entered into the Pamper Yourself drawing. The first place winner will receive a Kindle Fire, and the second place winner will receive (2) tickets to the Pamper Yourself event. The winners will be announced Friday, March 8th at noon. Lakeshore Community Church staff members, New Life/YoungLives volunteers and teen moms are not eligible to participate in this drawing. Consider making a donation to support the work of Young Lives/New Life. Join me on Sunday March 10th, from 2 to 5PM, at Lakeshore Community Church for their annual Pamper Yourself and Shop event. This is a FUN-raiser to support the work of YoungLives/New Life - a ministry that reaches teen moms and dads in our community with the love of Jesus Christ. Check out www.lakeshorechurch.org/pamper for more details.